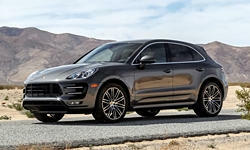 Hi Guys, considering leasing or getting a 2015 -2017 Porsche Cayenn S E-Hybrid CPO. Would like to get opinions on it before I take the plunge. Been on the Porsche forums and it looks like the facelifted model is the preferred choice but also lot of people also prefer the older model 2011 -2014 because of the V8 availability for the S trim. I read all the information I can find for the 958.1 /958.2 and based on the most common issue is the TC (Transfer Case) issue which is more common on the Gas models. 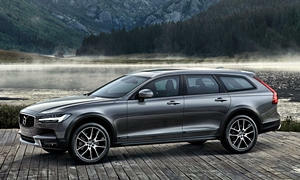 For the Cayenne Hybrid and Diesel, they use a different TC which is same in the T3 Toaureg. Best to get CPO as it's additional 2 years and unlimited Mileage plus the extended warranty if one chooses to get. Benck55: It sounds like you have used all the appropriate research tools and have pretty good handle on what you want and how to go about getting a good one! You probably know more about the Cayenne than 97% of the rest of us. Perhaps some knowledgable individual will chime in here, but I don't really have anything to add other than happy shopping. I drove my brother in law's 2014 Cayenne GTS and I really liked it. If you don't need the space the Cayenne offers, the base model Macan I drove was more nimble and would be the one I would prefer, but make it the Macan S. It handles more like a car and is cheaper, but still very nice. 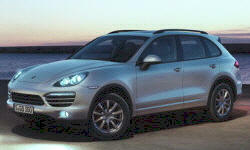 If I did go with the Cayenne, I would go with the regular S non-hybrid. The Hybrid just adds some unneeded complexity to the powertrain and I don't think the gas mileage would be much improved either. More people buy the non-hybrid versions so parts would be more available for the non-hybrid and have a larger community. I don't really have much to add either, but I would go to thePorsche Reddit page.They should be able to answer your questions better than we can. I do suggest going CPO with Porsche because the maintenance costs can become ridiculous. The Cayenne is, most likely, going to be a safe bet, since Porsches usually tend to be much more reliable than other European luxury vehicles (save for Audi). Both this site and Consumer Reports show this. I would also agree with the others that have replied, be sure to look for a CPO vehicle since maintenance costs can be HORRENDOUS. Hope this helps! Thank you GMC- will definitely get a CPO plus extended warranty. Planning to keep this for awhile once I get one. Waiting on the 3rd gen to come out, want to see the new one up close first. Then will decide.